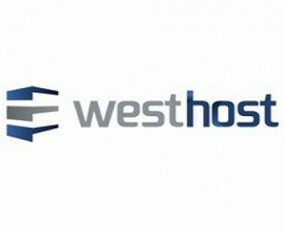 I just finished moving frommel.net to a new hosting provider, Westhost, and I am very happy so far. For a while now, I was not happy any more with the speed of my website. I tried various forms of wordpress cacheing (super cache, W3 cache) but in the end it seemed that infinology (the host for frommel.net for many many years) was just too slow. There were also quite a few nasty backup recovery scenarios over the last year. So, when I got the notification that I should renew my annual hosting subscription at infinology, I did some research, and found this article and decided to go with Westhost’s preferred hosting plan. It offers a lot more, is tuned for wordpress, and is 30% cheaper. The migration was super easy (export database, import at new host, copy files, change config for database connection, voila). So far, it seems a lot faster, with most pages loading in less than 2s. Great timing. I’ve been meaning to change my “temporary hosting” solution for ken.net for 2 years but recently I’ve been posting again so the urgency has reached the threshold I think it needs to actually take action on it … especially if it’s a simple migration which Yoast and you seem to suggest it is. Up to this point I was thinking AWS because I love their product but I suspect it’s too expensive and unnecessarily bespoke for the task at hand. So far, it seems to be working fine! I’ve paid the fee, just waiting for my login … it’s migration time. BTW, I use gmail for my email hosting, did you also do that with Frommel? Did you need to change anything there or was that seemless? I actually don’t host my email there… I forward my mail from frommel.net to a different mailbox. So migrating mail was not an issue… all I did was add a few forwarding rules. However, they do have imap, which is good… maybe I will change my email forwarding at some point and host my mail there, but I find it easier if all my mail go to a single mailbox. cobus@frommel.net basically just becomes an alias email for me. For personal mail I use my gmail account.